The Iconic building is located in Dubai and it is a global icon and a feat of modern engineering. 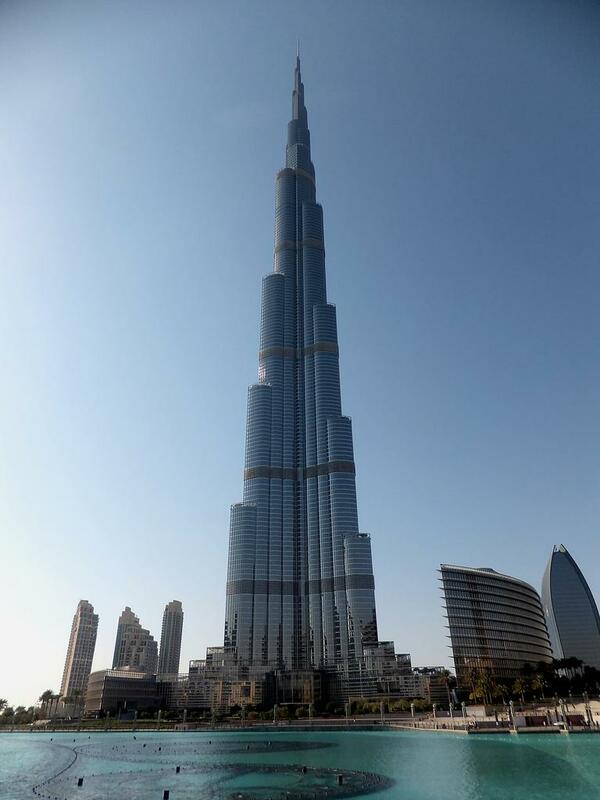 Towering a whopping 848 meters, the Burj Khalifa is the world’s tallest building. The magnificent building has redefined possibilities and has shattered the myths. It is a symbol of elegance and meticulous architecture. The building; being a megastructure posed many challenges for the engineers and architects but apart from all the hardships, construction commenced on the 6th of January 2004. With the exterior of the building completed in 2009 and the Burj Khalifa was officially opened on 4th January 2010 with a grand opening ceremony. The 163 storied building which also holds the record for the most number of stories in a building, comprises of corporate suites, hotels, restaurants, residential apartments and much more. There is also an observation deck on the 148th floor from which you can enjoy spectacular views of the Dubai city. Burj Khalifa despite being known as the tallest building in the world also holds several other records as well. This is the building which currently has the fastest and the most travelled elevators in the world and also elevators that travel the longest distance, the building houses the highest outdoor observation deck and also has the highest occupied stories in the world. Anybody can visit here easily as the building is surrounded by many accommodation options such as hotels and serviced apartments in Dubai the likes of Oaks Liwa Heights. If you want to visit the observation deck you need to reserve your tickets and it will only take about 20 minutes to reach here from the airport by taxi. Previous Post Everything you need to know before visiting Suzhou – An amazing city!